Do you ever see a great deal on cute little leather mary janes or winter snow boots and then, well, AAAGH. You can’t remember the exact size of your childrens’ feet. They change so fast – don’t they? 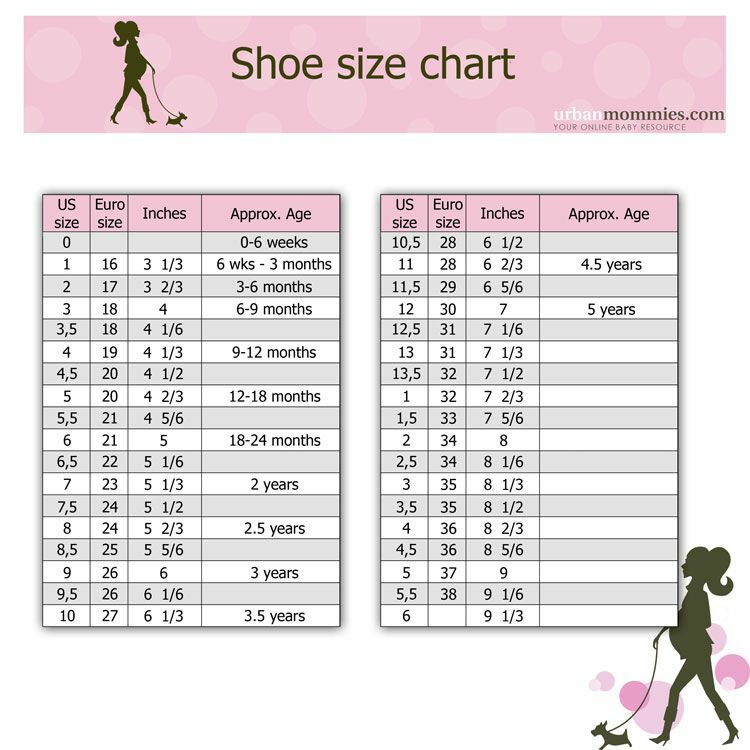 Well, with our little cheat sheet Shoe Size Chart, you will be fine. Cross off their current size as they are wearing it, and you’ll be one step ahead.